When looking at the metrics in your site analytics tool, you probably have noticed the bounce rate at some point. Understanding the bounce rate of your website is very easy and crucial in order to understand your website. It is a term used to describe those site visitors who visit your site, but don't click on any links or any additional pages. Lets say you visited this post just now, and ended up not clicking on anything but the [x] to close the tab: that goes towards the total ratio of bounce rate! Now, there is really no telling as to why people do this, and you'll have a hard time finding out anyway, but you can take some actionable steps to try and reduce the overall bounce rate of your site, as it usually comes down to several factors related to your website, and content. Let's take a look at seven common ways of tackling this issue to reduce the bounce rate. Yes, those online marketers who're making bank with popup marketing are going to try and prove you otherwise, but if you really care about your visitors and how they perceive your blog – it might be a good idea to get rid of popups. 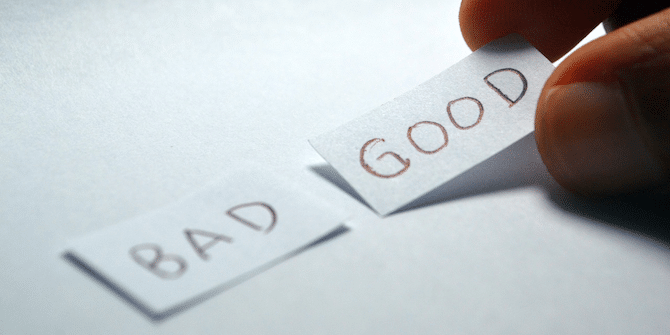 If providing good user experience for your visitors doesn't already convince you, then possibly better rankings in search engines and lower bounce rates will do the job. Especially since Google plans to penalize websites with intrusive popups. If people will want to subscribe to your blog, they'll find a way to do it. 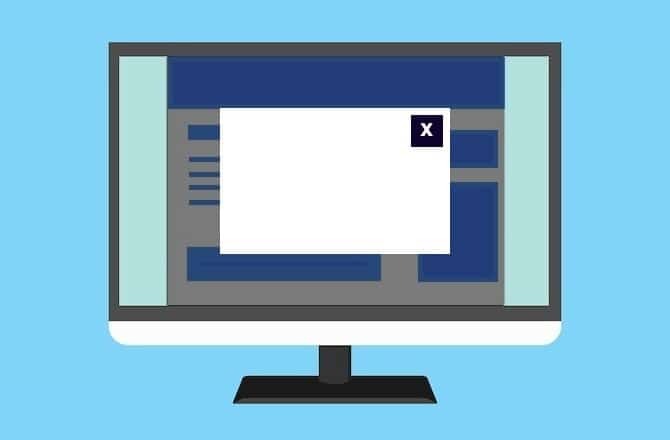 The problem with intrusive ads is that so many websites with poor content use popups, people are accustomed to thinking that a low-quality website with a popup is only trying to make a buck. Many potential long-term subscribers are leaving your site because it is taking forever to load, this is a common issue on the web; with the average attention span of mere seconds, people want to consume content quickly, without having to wait. Make them wait for longer than ten seconds, and they'll opt for a different source of content. This eventually leads to a higher bounce rate. The best way to battle this problem is by starting with the installation of a WordPress caching plugin. Once that is done you can begin to experiment with tools to monitor your website performance, such as Google PageSpeed Insights. This will give you a better understanding of the possible optimization you can do on your website or blog. With these insights you can start optimizing your website and possibly also make use of CDNs for better website performance. Tip: One of the biggest reasons why websites are slow is the size of images you're serving to people. Images often are being scaled by the browser or they are not optimized for online usage. You can solve most of these issues by making use of plugins for image optimization. Website visitors usually make a swift decision on whether they like the site they just opened or not, which means that good layout / design can play a big part of how big of a bounce rate you're getting. Clutter, too many (intrusive) ads, unnecessary content above the fold, all these factors come into play when people judge the feel of your site. Which of course will also affect your bounce rate. Reassess, and take some time to think about the style choices you've made – did you make them because you like them, or did you make them to please your visitors? There is big difference! Is the design suitable for the topic of your website? Usually it doesn't make much sense to use a blogging WordPress theme if your plan is to create a business website. 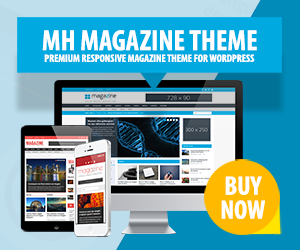 At the same time it doesn't work very well to use a business WordPress theme if you want to launch an online magazine or news website. Titles, Headings, and Sub-Headings should be clear, and concise. Don't make one heading a h4 element, and the next one a h1 element. Find what works for your design style and stick to it. Content on the page should flow naturally, and should be easily differentiated from other parts of the site. Don't make people steer from left to right every time they read a paragraph! Errors, mistakes, typos – every time a user encounters one, he loses hope for your site. A good idea is to re-read your content every time you write it. Practice makes perfect! Include images, graphics, animations, videos and other media type content to enrich your posts; give them some visual spark to make your readers enjoy the content! As you can see, something as simple as bulletin points can make content look more professional, as well as grabs your attention in a different way. This applies to those who get most visits from mobile devices, as this trend is going to increase dramatically over the years. Learning how to build a responsive website should be one of your top priorities as a webmaster. Luckily, most WordPress themes are nowadays responsive out of the box. The mobile market is growing, and as more places on the planet become interconnected – more people will start browsing the web. Don't think that everyone in Africa has a MacBook, or a laptop. Majority of citizens there browse through a mobile device, and that market is HUGE! 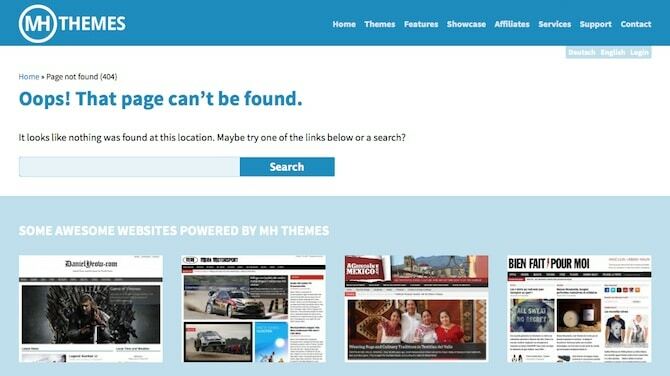 Over time it may happen that your site visitors are going to encounter the 404 error page. Most of the time people tend to leave the site instantly and go back to Google to find what they are looking for. In order to avoid this you can use a bit of creativity to make your 404 pages both engaging, and fun at the same time. Apologize to your users, and perhaps offer them instant related results to what they were trying to find or help them browse your website to find your valuable content. Though, if everything else fails – you can always try and experiment with A/B testing. A/B testing is a way of testing multiple website designs at the same time; the given platform that you're using will serve a proportion of your sites visitors a completely different design, and you can then monitor how they're performing, and opt for the one that's performing the best. The Wikipedia page for A/B testing is a pretty good place to start exploring the concept behind A/B testing. As you can see, there are quite a few things that go into reducing the bounce rate for your website or blog. You can apply these methods to other things as well, for example your mobile apps or even other software if you like. It's basic knowledge that should be understood by every serious webmaster, writer and blogger out there. What about you? Do you have any other ideas of reducing bounce rates, which we've missed in this article? Please share your thoughts in the comments. Wow! That was an amazing list, just buzzing after reading that. Very informative, rich in details and easy to read. I will try out your awesome techniques and let you know how it goes. Thanks! Hey Aline, Excellent stuff!! You have mentioned all exact points to reduce website bounce rate. Basically, design and website load time play a vital role for people leaving from the site. Also, one more disgusting thing are pop-up call to actions or splash pages. I personally leave those sites immediately that show pop-ups after landing on the site. Even, irrelevant long difficult to understand content I must avoid reading. Thanks a lot for sharing these awesome steps to reduce the website bounce rate.